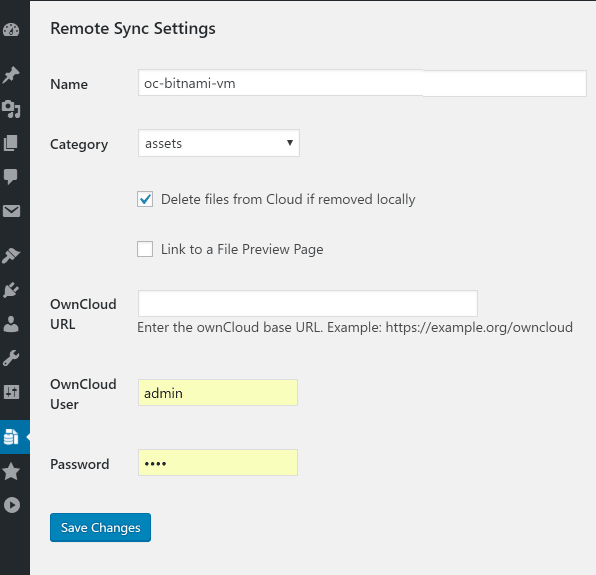 Sync files with any ownCloud server. Just enter the full server URL, username and password. The extension can generate preview links for images, videos and other documents.